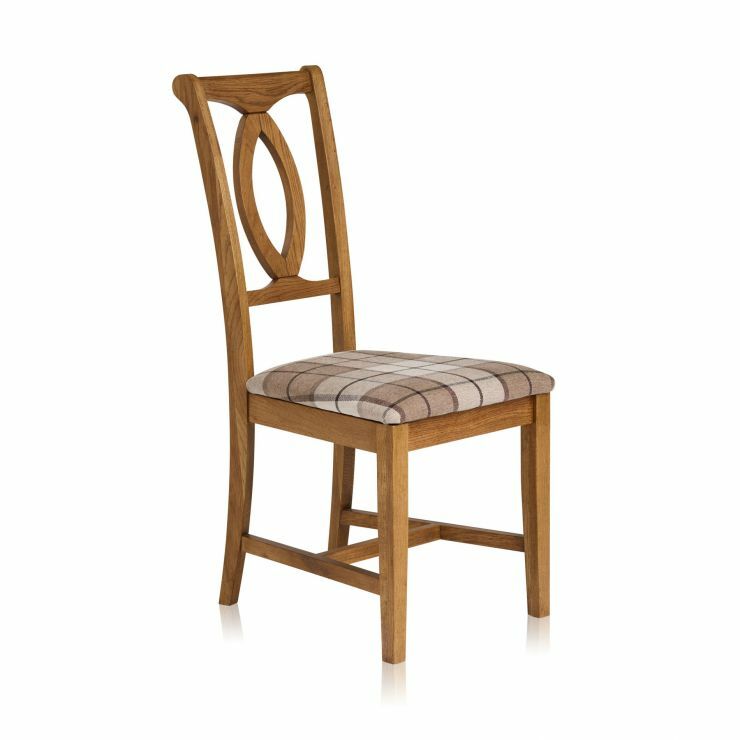 The Crawford dining chair is made from elegantly shaped rustic oak. The frame has a keyhole-like motif in the back, and pleasingly curved edges to the tops of the frame. 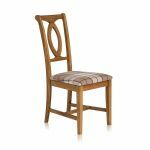 Designed to sit with the Crawford dining chair, the deep golden finish will match any of our rustic dining tables. The dining chair’s seat is available in a choice of 12 fabric, and two leather options. Make your dining room really special with Crawford. Save hundreds of pounds and build your dining set your way with our Dining Set Builder. Alternatively simply add your chairs and table to your basket and we will calculate a discounted set saving for you. Please note that although priced individually, chairs are sold in pairs only. Please note: The seat pads for these chairs are interchangeable and will need simple home assembly. Easy to follow instructions will be supplied. 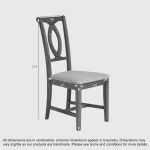 Save a further £47.00 per chair when bought as part of a dining set!